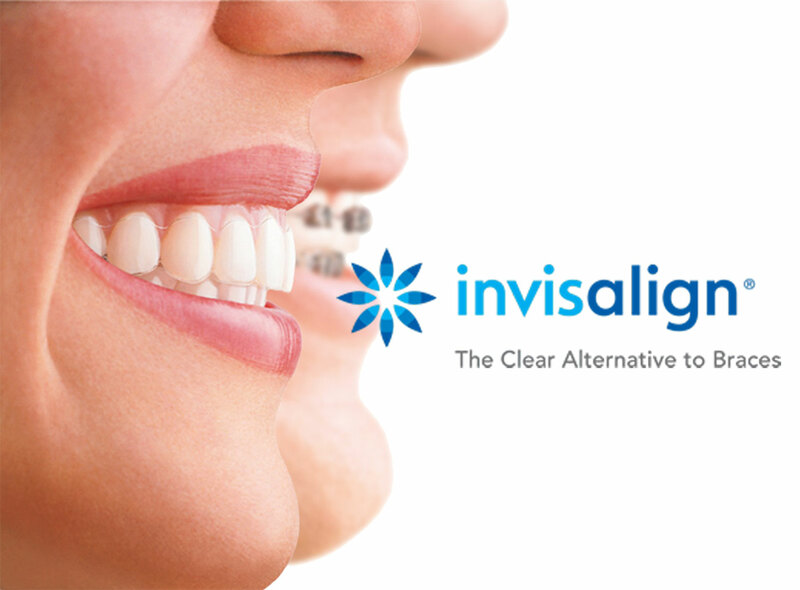 Invisalign straightens teeth to give you the confidence of a great smile. Invisalign is an orthodontic system that uses clear medical grade plastic aligners to gently guide the teeth into the correct position. The aligners replace the metal wires and brackets used for traditional braces. 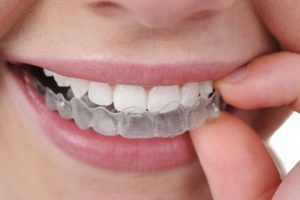 The aligners are custom made to fit each individual’s teeth and to move the teeth through a planned series of adjustments to the correct placement in the mouth. There are many reasons to choose Invisalign. First, many patients opt for this treatment because the aligners are nearly invisible. Adult patients often want to avoid having a mouth full of metal, and Invisalign offers a more esthetically pleasing option to a straighter smile. Another benefit is that the aligners are removable for eating and daily hygiene. They must be worn for at least 22 hours each day, but patients can take them out to eat and to brush and floss their teeth. This means that patients don’t have to restrict their diets and can maintain good oral hygiene throughout treatment. Also, the aligners are customized to guide each patient’s teeth to a specific position, so treatment time is often less than traditional orthodontics, typically lasting between 12-18 months but sometimes as short as 3-5 months for very minor tooth movement. The first step in treatment is for the dentist to take impressions of your teeth. Those impressions and accompanying images are used to create a tailored plan to correct the positioning. When the plan is ready, the impressions and images are sent to a lab where a series of aligners is manufactured. Each aligner is created based on images developed using three-dimensional modeling software for a custom fit. Between 18 and 30 aligners will be created for most patients. During treatment, each aligner is worn for about two weeks then exchanged for the next aligner in the series. Office visits take place about every six weeks.